The Chrysler 300 is the definition of luxury for our Jacksonville, TX friends. It gives you the style and elegance you want inside and out. Take a look at the 300 at Palestine Chrysler Dodge Jeep Ram FIAT today. If your daily drive is lacking a certain amount of ambiance and style, then maybe it is time to elevate your elegance. The Chrysler 300 is the epitome of style and luxury both inside and out. It also gives you the features you have come to expect from the 300. Get ready to drive in style when you choose the 300 at Palestine Chrysler Dodge Jeep Ram FIAT and test drive it today. When you choose a luxury sedan, you expect it to be stylish, especially inside. When you choose the Chrysler 300 as your luxury ride, you know it will be packed with the luxury and elegance you want both inside and out. Thirteen interior options ensure that you can customize your 300 to your liking. Plush Nappa leather not only offers style, but it also gives you the supple comfort you want to give you comfort and support where you need it the most. The 8-way power adjustable driver’ seat lets you choose the most comfortable position for your drive, while the heat feature adds another layer of comfort that warms you. Ventilated seats cool you down on the hottest Texas day. Everything you need to command the cabin is at your fingertips thanks to steering wheel mounted controls that not only include audio buttons, but cruise control and voice commands too. See the 300’s style when you come by Palestine Chrysler Dodge Jeep Ram FIAT. When you pay a premium price for a luxury sedan, you better believe it should come with a higher level of technology inside. You want to be entertained and excited by the tech in your vehicle. The Chrysler 300 gives you more out of your driving experience when it comes to the technology department. Let the Uconnect Infotainment System with touchscreen display be your portal to technology. The Uconnect system gives you access to hands-free phone calls via Bluetooth technology as well as SiriusXM Satellite Radio with over 150 channels of talk, news, sports, comedy, music, and more to entertain you for miles down the road ahead. You can also stream your favorite music instead to guarantee that all of your favorite tunes are on tap for your road trip. The navigation feature ensures you will never have to pull over for directions and will always arrive at your destination on time. There is even a convenient media hub to store your smart devices while you charge them on the wireless charging pad or USB ports. Our tech experts can’t wait to show you these features at Palestine Chrysler Dodge Jeep Ram FIAT today. The last thing you need when you head out for a weekend getaway or on your daily commute is an unnecessary accident. With the Chrysler 300, you get a smarter way to drive. That is because it offers driver confidence features that help to avoid accidents before they have the chance to happen. If you struggle with parking, there’s no need to worry; the new Chrysler 300 comes to your rescue! It offers Front and Rear Park Assist thanks to the ParkSense feature. Adaptive Cruise Control not only keeps you a safe distance from the vehicle in front of you, but it also helps you stop too. Blind Spot Monitoring and Rear Cross Path Detection monitor your surroundings and let you know when there is a vehicle in your path so you know when it is safe to go with caution. This is not an exhaustive list of safety features available. For a full list of features, come see us at Palestine Chrysler Dodge Jeep Ram FIAT. Palestine CDJRF Is Here For YOU! 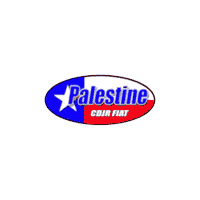 Palestine Chrysler Dodge Jeep Ram is your premier destination for the Chrysler 300. We are here for you every step of the way from the time you drive up until you drive home in your 300. We will take the time to truly listen to you and understand your needs so we can recommend the 300 that is right for your lifestyle. If you don’t see what you are looking for, one of our product specialists can track it down or possibly special order the 300 of your dreams so don’t hesitate if you don’t see the 300 that is perfect for you on our lot. We are here to assist you and make buying your 300 the best car buying experience yet. Come see us today and drive home in your 300!